Light and super easy to create, this dish is a practical one to make for the last minute invites. Wash and dry the fresh mushrooms. Remove a part of the stem (not all) and cut in large slices, (enough to be able to grab them with your hands like a snack). 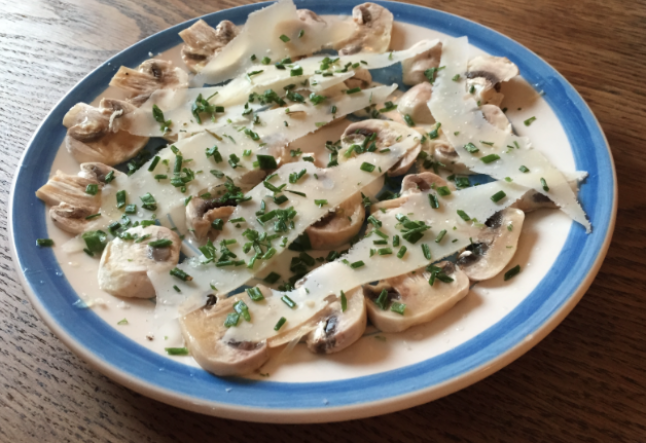 Place each slice on a flat plate and drizzle the lemon juice, olive oil, chives and salt on the mushrooms. Put parmesan on top.